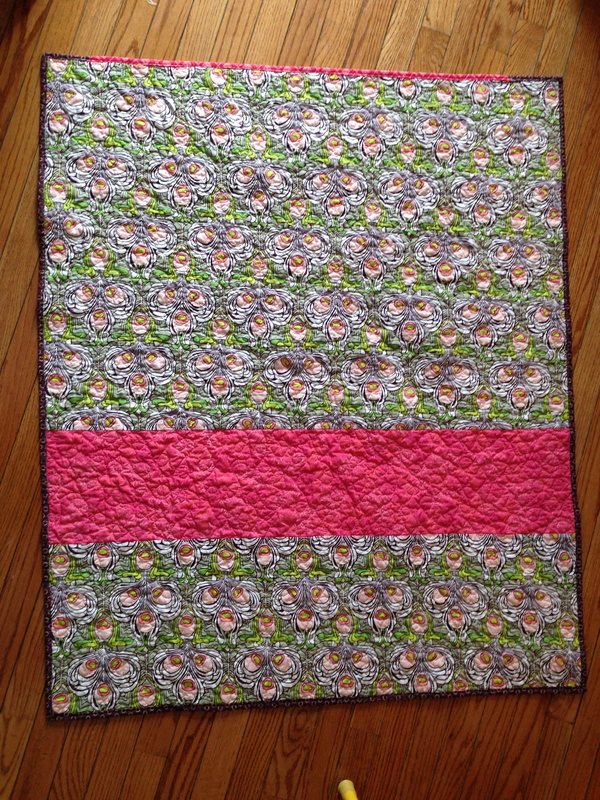 This weekend I quilted and bound a top that I’ve had in my closet for awhile for a fundraiser at my munchkins’ school. It was a rare quick finish and therefore very gratifying. The preschool is part of the Y family, and they raise money each year for a scholarship fund that helps families in need with childcare, camp and services. We’re going to do a tricky tray-style raffle. 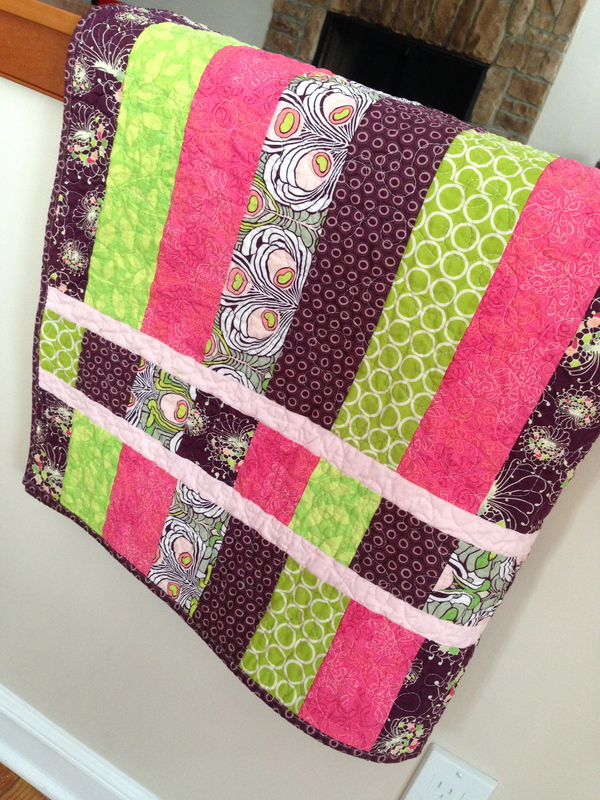 The design is from Allison Harris at Cluck Cluck Sew‘s Strip and Flip Tutorial. I made it long enough ago that I wasn’t taking note of the fabric yet. I could make out on the selvedges of the backing fabric that it was Art Gallery Filigree. 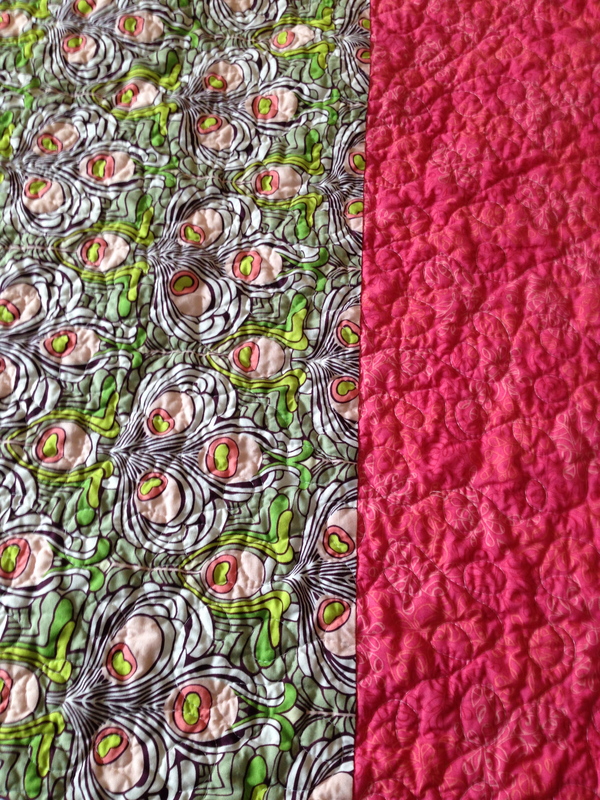 The binding is mostly Art Gallery Oval Elements with a little strip of Simply Color pink. 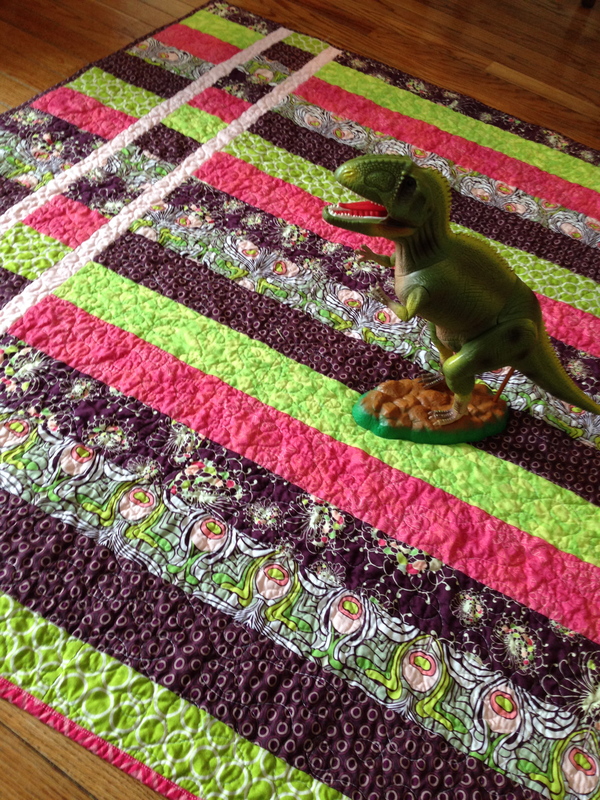 I quilted it in a meandering loopy style, and it crinkled so nicely in the wash.
Giganotosaurus approves! 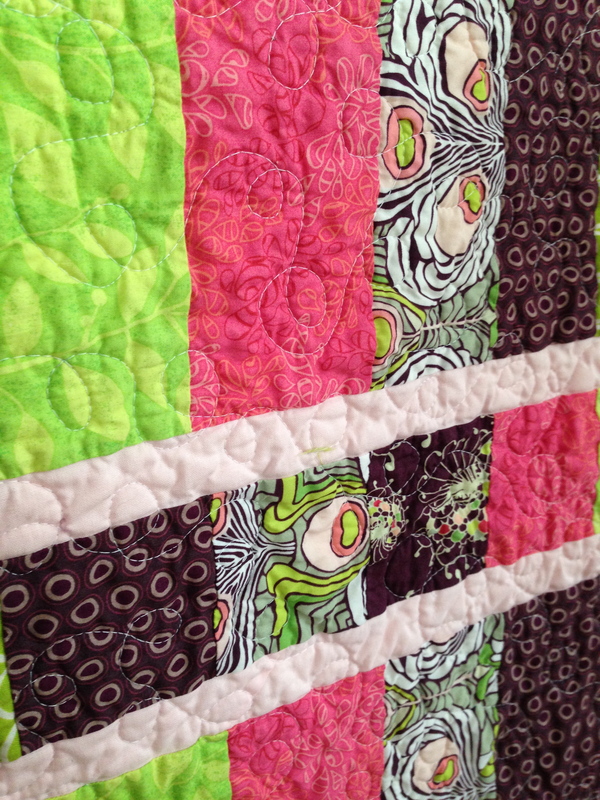 I hope that this quilt is well-loved by a silly kid. 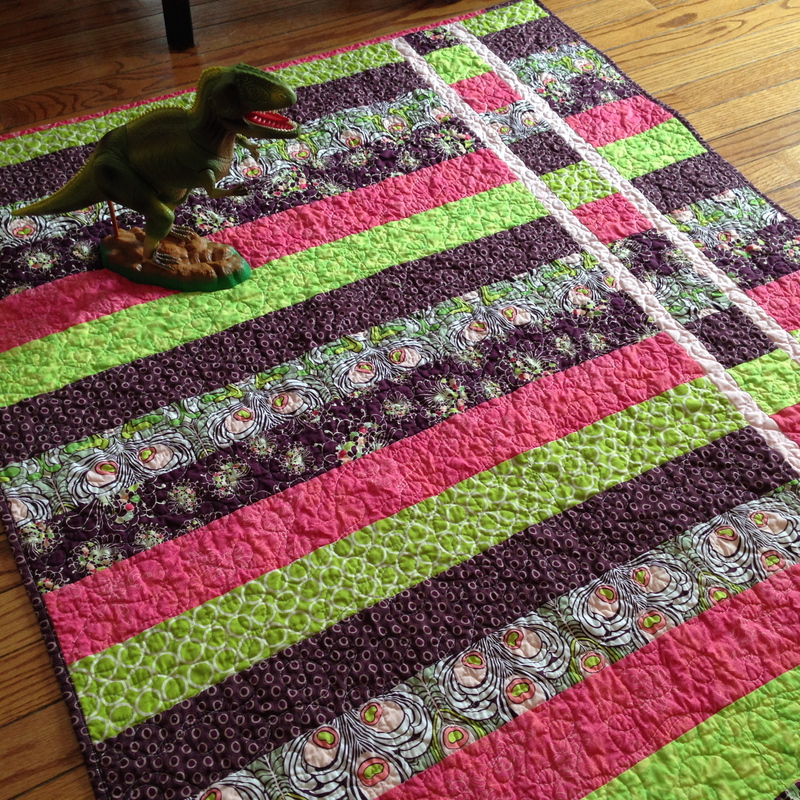 Speaking of dinosaurs, have you seen Sew Mama Sew’s dino-tastic guide to stress-free sewing? It’s a must read, and mentions finishing WIPs to ease the burden of work that we can carry around with us. I’m so glad to have this WIP headed to a good cause along with the feeling of accomplishment that comes with a finish, along with the inspiration to use more dinosaurs in my photo shoots.